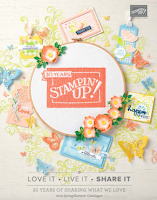 How are you faring so far this week? Its been a tough one for us regarding the studio, I am well aware I am due to give you an update and will put a post together soon, I promise. Are you Irish, or have you Irish roots? 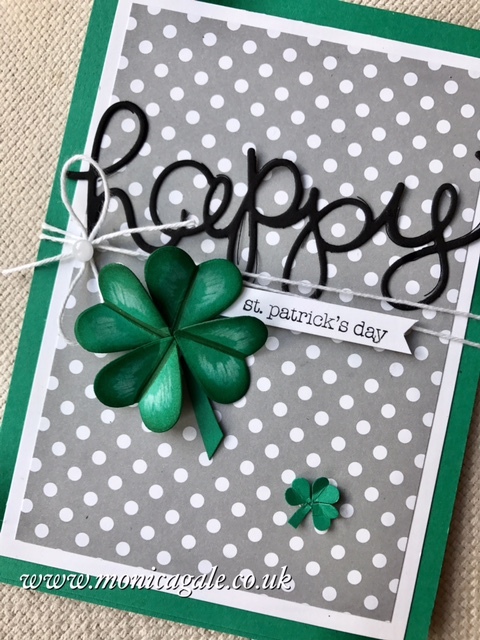 If you are then I bet this weekend will be filled with some celebrating St. Patricks Day. 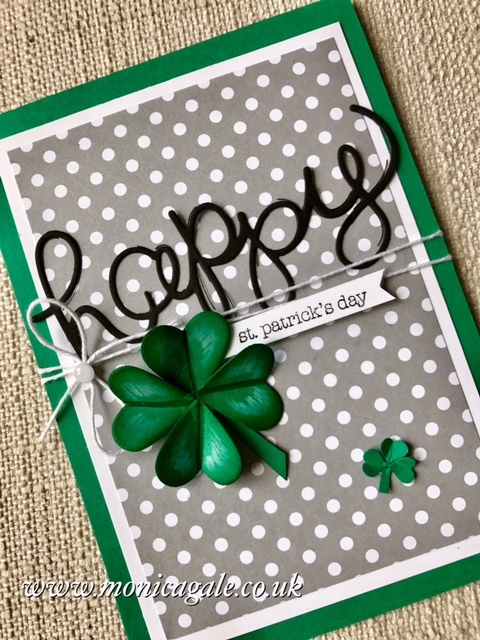 Me and hubby have no Irish connections, but we celebrate it each year as it was after a St. Pats party that we got together. And this year is quite a bit special as I have been kissing this lucky Yorkshireman of mine for 20 years. WHOA where did that time go?? 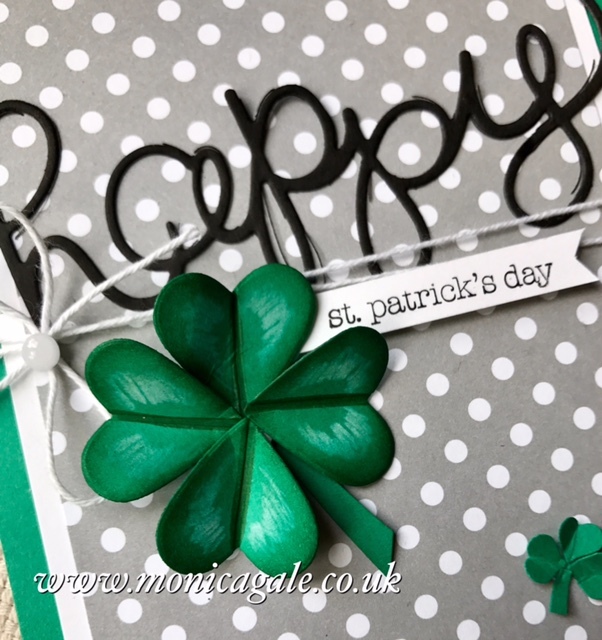 The card I made him came together in minutes, and I know it won't win many prizes of ingenuity, but how fab that as a crafter you can literally create a card with supplies you have on hand that are not necessarily occasion specific??? And how cute is that teeny tiny one down there? he is my favourite *wink* . That one was made using our Confetti Border Punch. Then the big guy was sponged with emerald envy ink pad and always artichoke ink over that, and if you carefully look you will see that I added some white markings (just like the real ones would have) and for this I used the white Watercolour Pencils straight onto the green card. 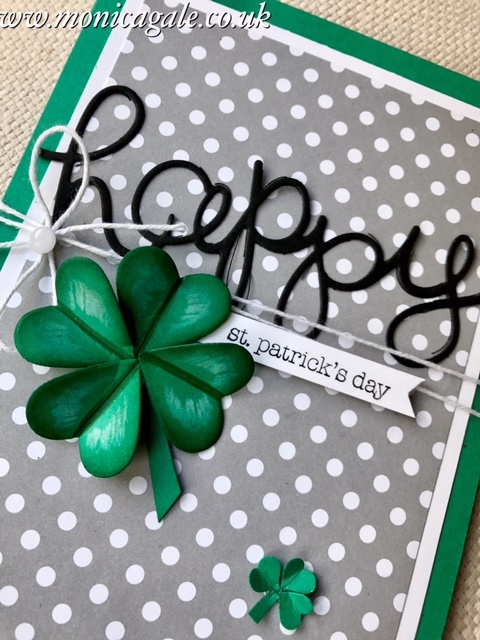 I hope you enjoyed my card, I certainly look forward celebrating with my not so irish lucky guy tomorrow and I guess you will be celebrating too... it is after all the beginning of the weekend.